Specs-wearin’ gals unite! Ladies, don’t sacrifice your makeup regime because you wear glasses. Lucky for you, renowned cosmetics line Clinique and iconic eyewear brand Lafont have teamed up to help women simultaneously take advantage of their frames and emphasize their eyes. Just take a looksie at their fave beauty looks that’ll perfectly complement your peepers and your spectacles below! Wanna try ‘em out for yourself? 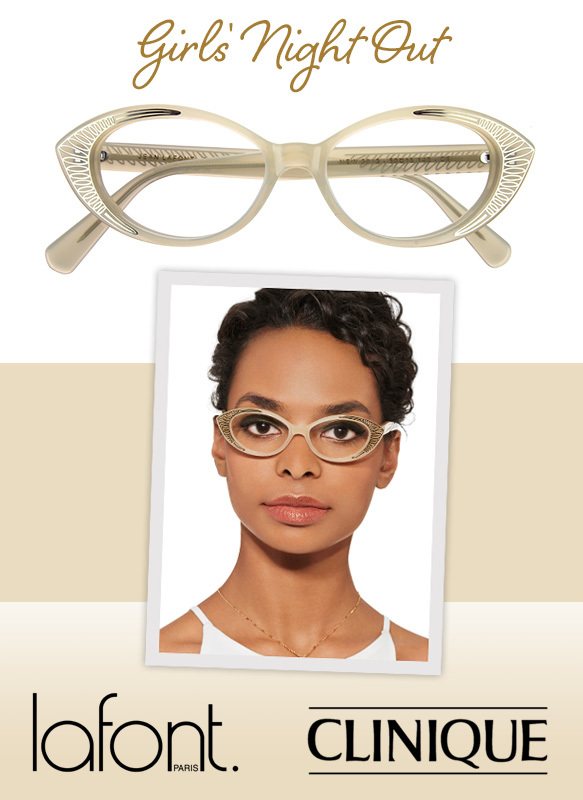 Check out the must-have products to get the looks mentioned at Clinique.com, and get even more deets on the frames shown at Lafont.com. Flaunting your dramatically chic side has never been easier with the sultry combination of statement smoky eyes and shimmery etched steel blue frames with a gradient effect. A warm cheeky glow and dewy neutral lips put the finishing touches on this gorgeous look. Get prepped for the perfect ladies’ evening on the town—glasses included! 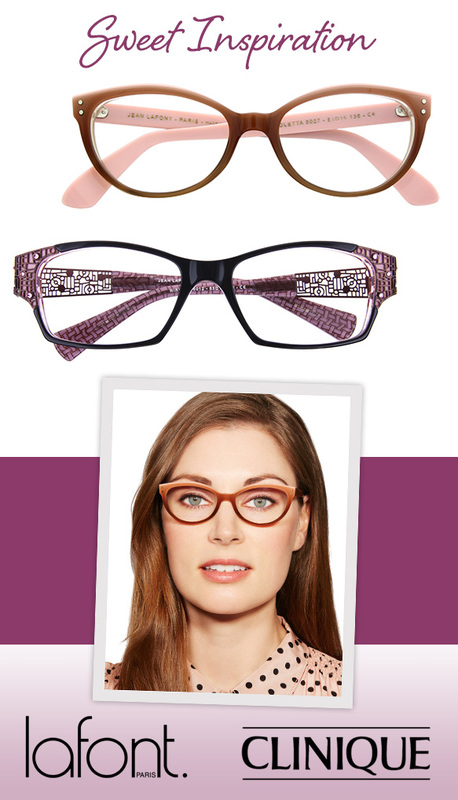 Art Deco-inspired specs with metallic-embellished temples are sure to bring dazzling spice up any babe’s face! 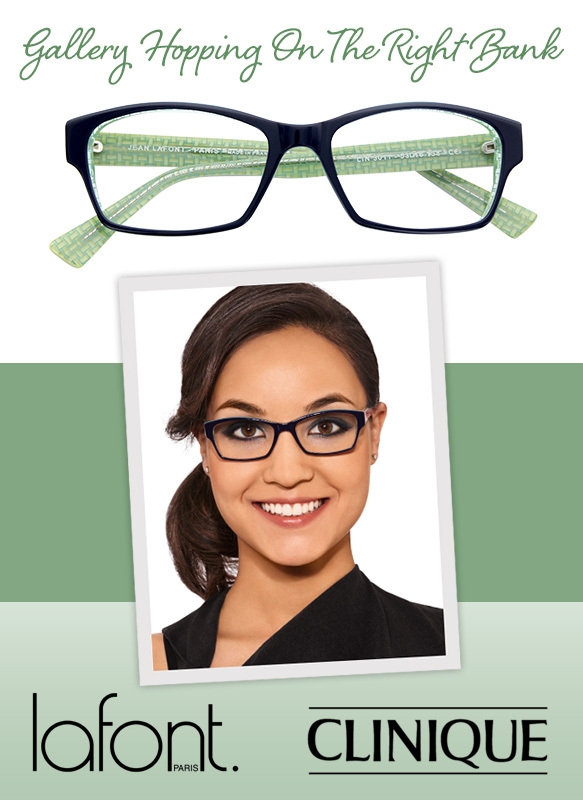 Meshed with golden green eyes and coral shimmery lips, these frames will truly allow you to stand out from the crowd. Be your own work of minimalist art with classically streamlined black rectangular specs with unexpectedly checkered-patterned temples. Topped off with smoldering gray-accented eyes, subtly berry-hued cheeks and moisturized caramel lips, this combination maintains a serious vibe with spirited flair! Achieve a playful, vintage-inspired feminine look for everyday wear with charming cat-eye glasses boasting a lovely, face-brightening ombré finish. 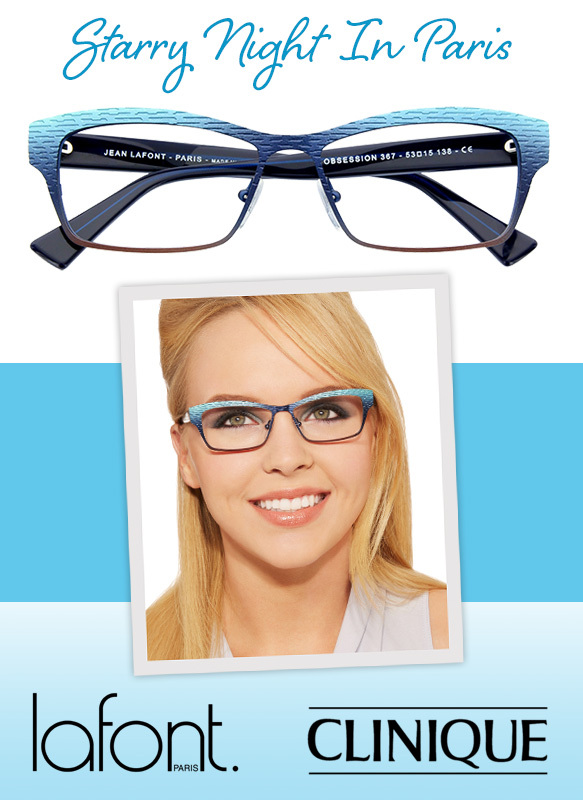 Or opt for latticework- and crystal-accented frames for even more of an elegant feel. Soft pink eyes and matching lips complete the look, giving way to an air of panache!